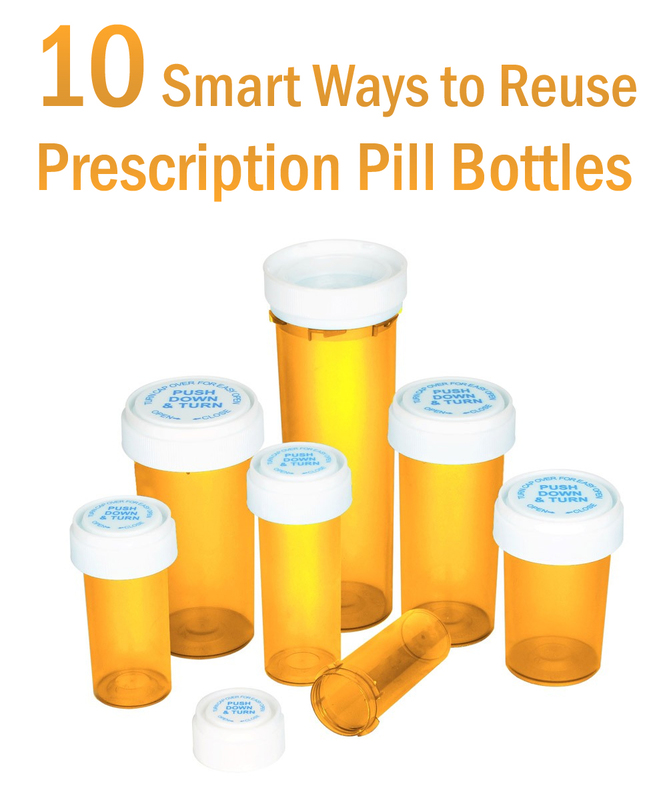 Got a few empty pill bottles lying around and wondering what to do with them? 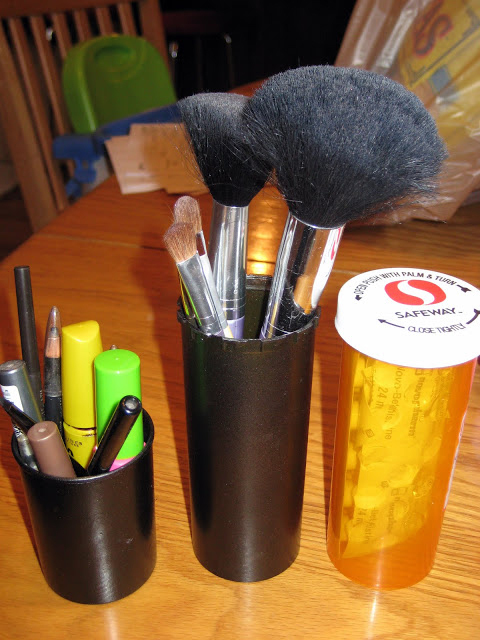 Store your beauty products and tools like your eyeliners, brushes and mascara. 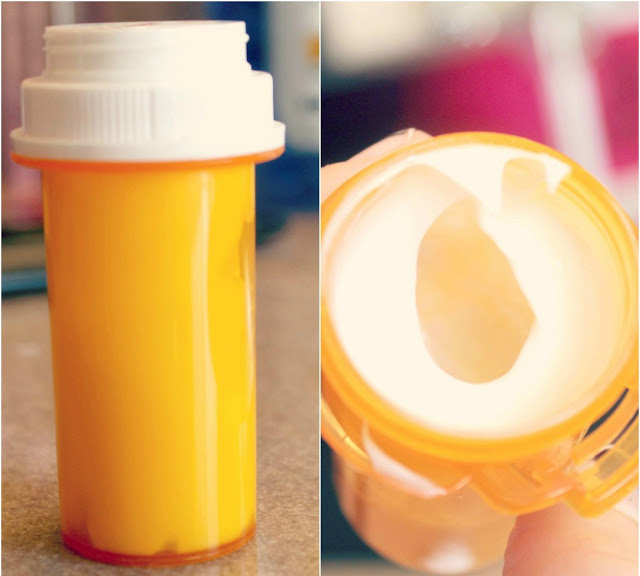 You don’t want to take big bottles of shampoo or conditioner when travelling, so save some space inside your bag simply by filling up empty pill bottles. 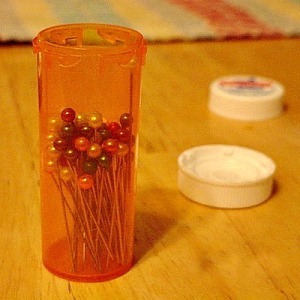 My bobbins are usually a tangled mess. This looks like an excellent solution! 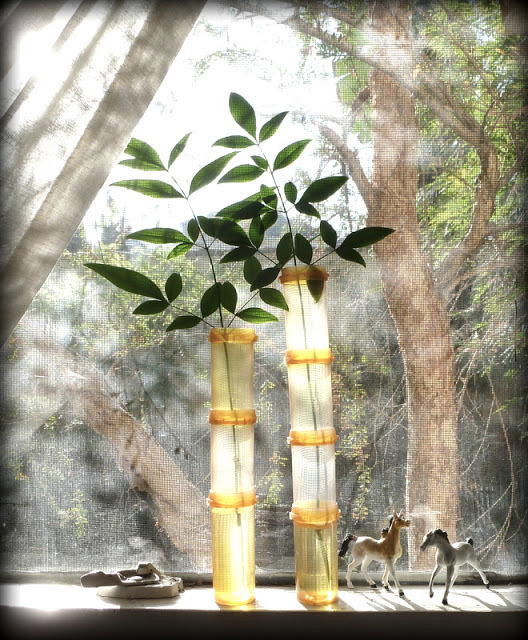 Such a wonderful reuse project and perfectly timed for when everything is coming up flowers! 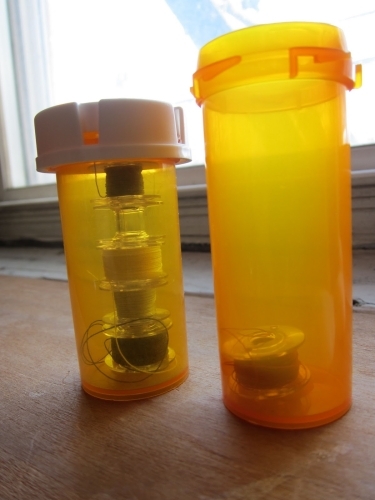 Here is a method to save all you crocheters and knitters from buying an expensive ball winder. 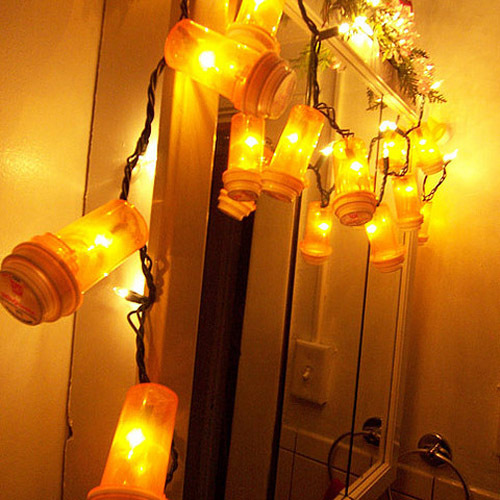 If you have got quite a few empties you can make a garland lights for the bathroom mirror. 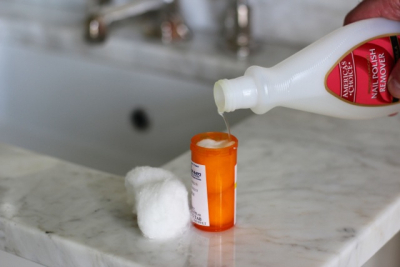 Turn your old pill bottle into quick nail polish remover! This helps to keep them out of children’s hands. 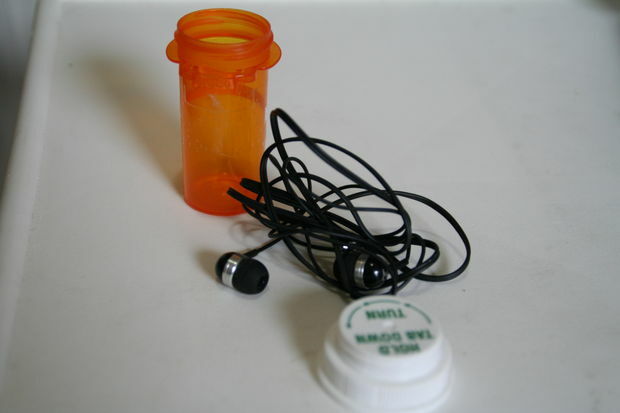 Putting earphone in an empty pill bottle is an easy way to store them. Genius! Perfect storage to keep them safe during the wintertime. 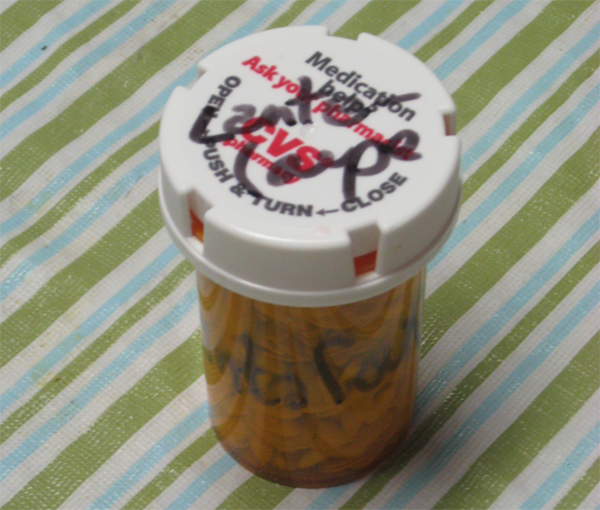 To bad we can’t just return them to the pharmacy and let them reuse them! I use mine to keep old coins in, also some of my old buttons that I don’t want to display at the time.